Big news. 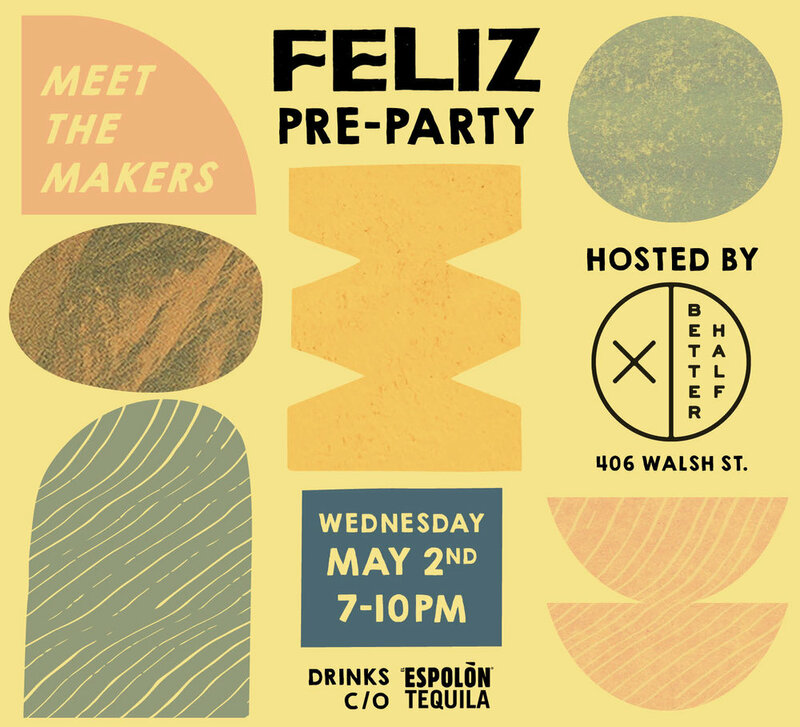 Espolon Tequila is a sponsor for the FELIZ pre-party, which- have you heard? Is Wednesday May 2nd from 7-10 at Better Half! Espolon always has a spot in our bar, so we're stoked that they'll be at the pre-party. Drinking tequila is the trade-off we get for surviving the hot hot summer. It's still spring, sure, but summer is on the way and we want you prepared. Brent from Cold Ones Pops, a repeat FELIZ vendor, gave us his go-to recipe for the Greenbelt Watermelon Fromarg. It's all natural, with only the sugar in the watermelon juice and meant to be enjoyed in a Slurpee cup while you dip the day away down by the water. Here, we made it for an at home sunset-watcher. The perfect to go marg if you have a nice insulated Yeti cooler cup or a giant Slurpee cup. Watermelon takes the place of ice and as a bonus doesn't water down your marg. When prepping the watermelon use the sweet interior of the delicious Texas watermelon. 4 cups frozen watermelon cut into small cubes. Thanks to Espolon for helping make FELIZ the best it can be. We'll see you at the pre-party!